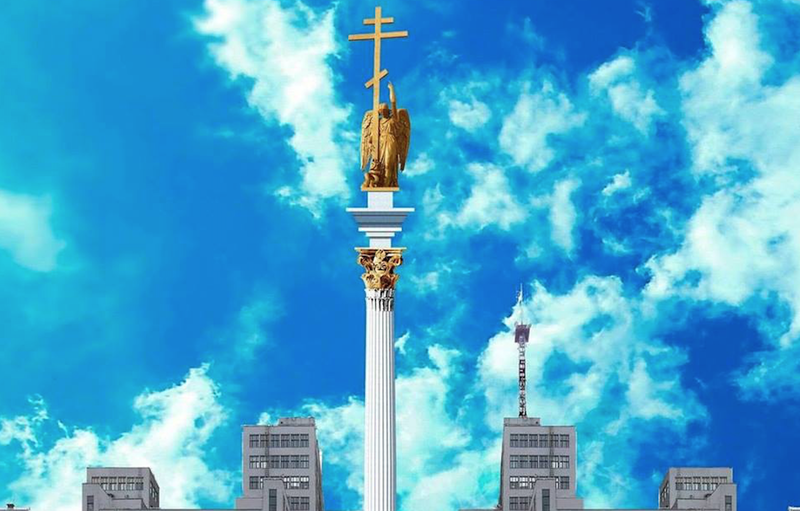 Earlier this year, promotional pictures emerged of a tall, neoclassical column — 86 metres high and crowned with an angel and an Orthodox cross — to be situated in Freedom Square, a collection of dramatic Constructivist buildings in Ukraine’s second city Kharkiv. Not only did this pompous design not fit into the ensemble of the square in question, it seemed to be a provocation against it. 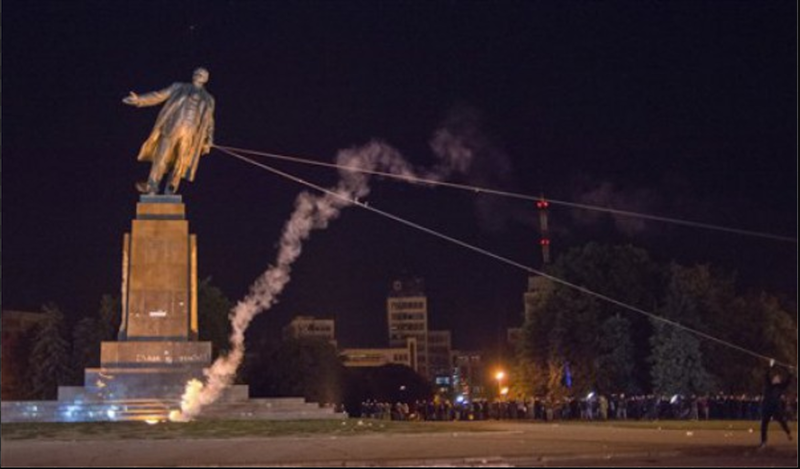 The column was to stand in the place occupied, until late 2014, by Ukraine’s largest Lenin statue; the winner of the questionable “open competition” for the monument’s design, Kharkiv city architect Sergey Chechelnitsky, presumably imagined that replacing Lenin with an angel would chime with current trends towards decommunisation and nationalism. However, after a wave of protests and debate, the column was cancelled, and efforts were accelerated to preserve the neglected buildings around it instead. How did this happen? From 1919 until 1934, Kharkiv was the capital of Soviet Ukraine. In 1924, a competition was announced for plans for a new administrative centre in Freedom Square; between 1927 and 1929, a House of State Industry (Derzhprom in Ukrainian, Gosprom in Russian) was built to a design by Sergei Serafimov, Samuel Kravets and Mark Felger. 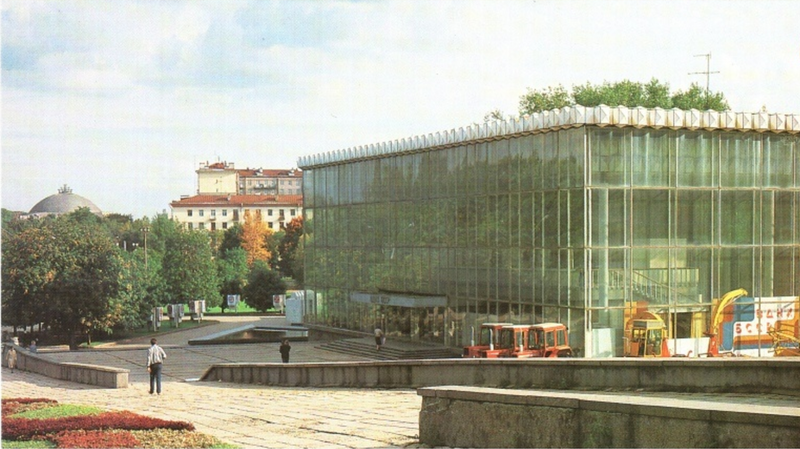 The building became a symbol of the rapid development of modern, industrial Ukraine. The first monolithic concrete skyscraper in the USSR, a series of towers linked by high glazed walkways, even today its scale and drama is strikingly futuristic. It was placed on the UNESCO Tentative list of World Heritage Sites. In 2003, however, the building underwent a renovation so inept that it was removed from the list. 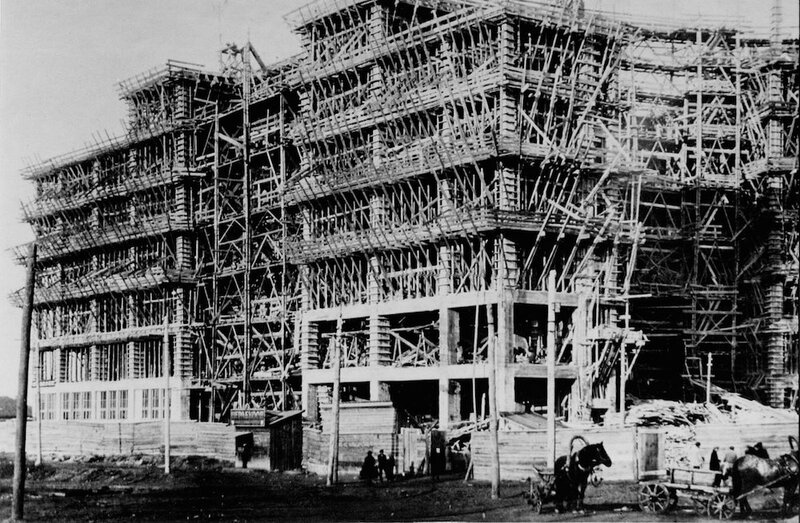 Derzhprom under construction in 1927. 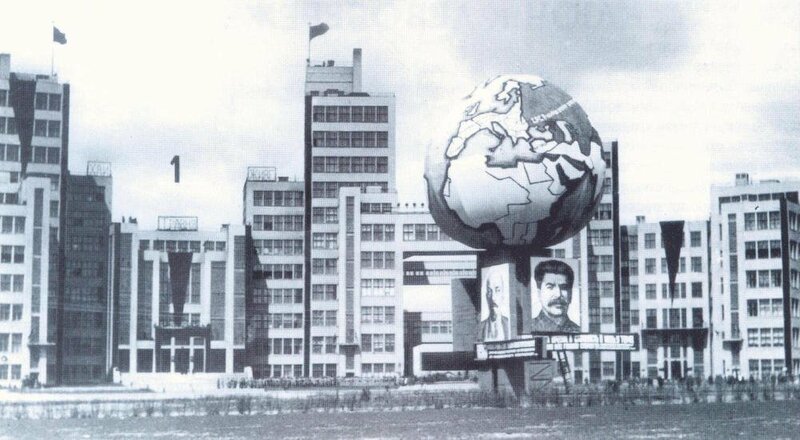 Besides Derzhprom, several other impressive Constructivist buildings were built on Freedom Square in the early 1930s. This large-scale urban planning ensemble is among the largest monuments to leftist urbanism in Europe. 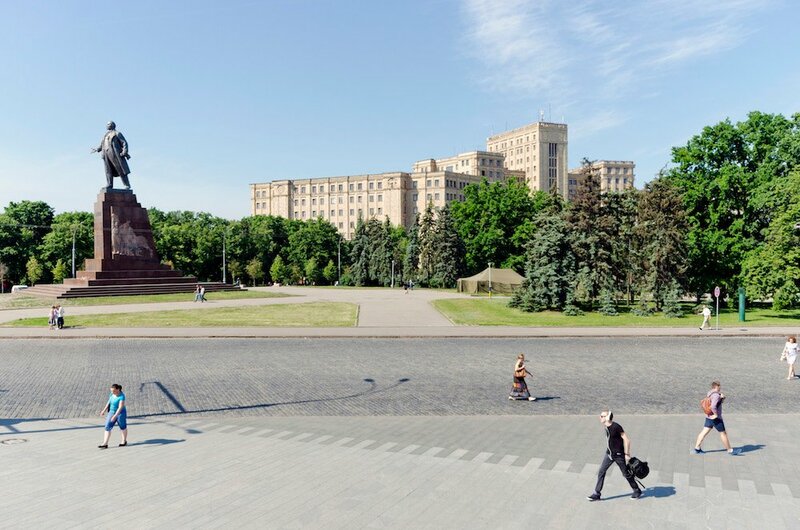 The other buildings — the House of Project Organisations, the House of Cooperation, the Hotel International and the building of the Central Committee of the Communist Party of Soviet Ukraine — form a wide circle approached through the square. However, the original outlines of these later buildings are no longer visible; between 1949 and 1954, everything on Freedom Square except Derzhprom was decorated in Stalinist neoclassical style. Today, these individual buildings have listed status as monuments of local significance, but there is no protection for the square as a coherent ensemble. How did it happen that this internationally significant place was treated in so careless a manner? Ukraine has its own locally important factors — wild capitalism, all-pervasive corruption and a weak rule of law and regulation. But all this is accompanied by a wider historical and social problem: a process of demodernisation typical of the entire post-Soviet space, whereby modernism is denigrated and postmodernism is embraced — a postmodernism that has not proven lenient towards its predecessor. In Kharkiv, three factors have conspired to create the anti-Constructivist climate typified by that column: Stalinism, Russian imperialism and Ukrainian nationalism. 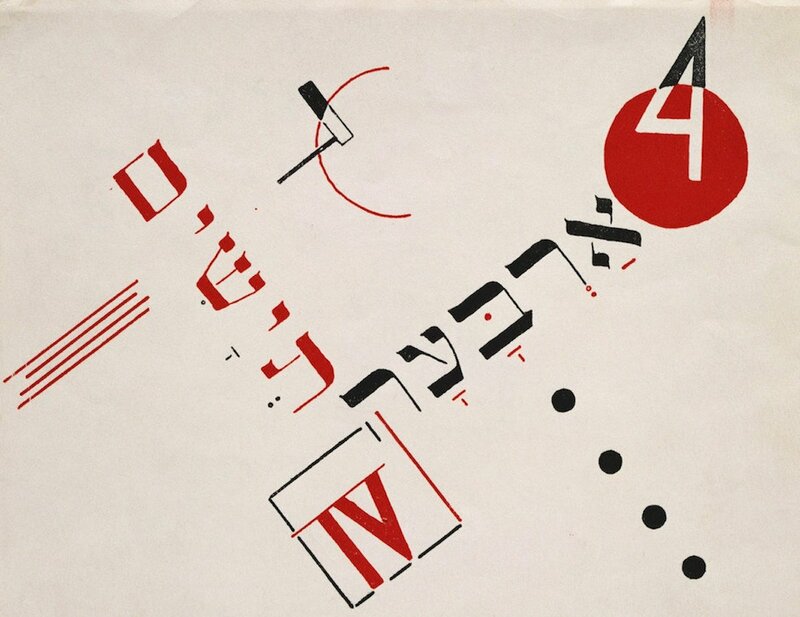 The campaign against Constructivism as a harmful, decadent art was begun in the early 1930s. 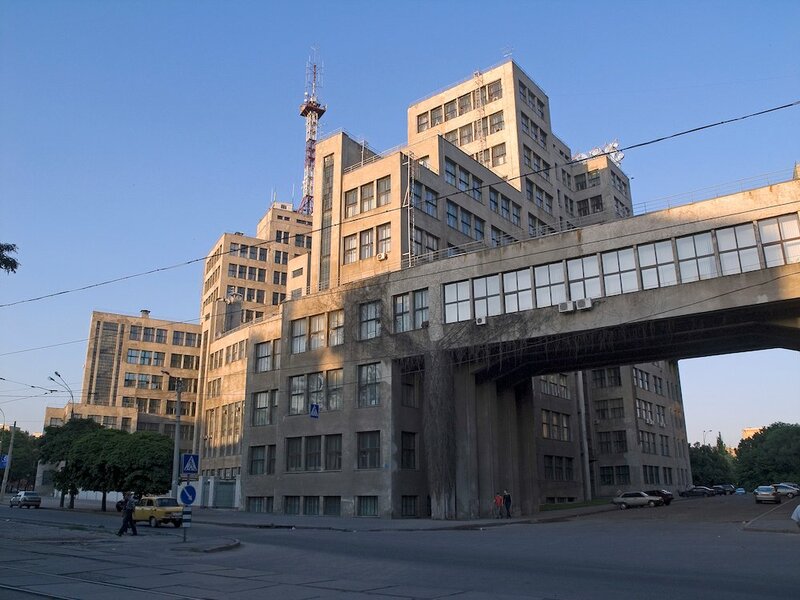 One of the lesser-known results of the shift towards classical canons and traditionalism under Stalin was the remaking of pre-existing Constructivist architecture according to Classical tropes. 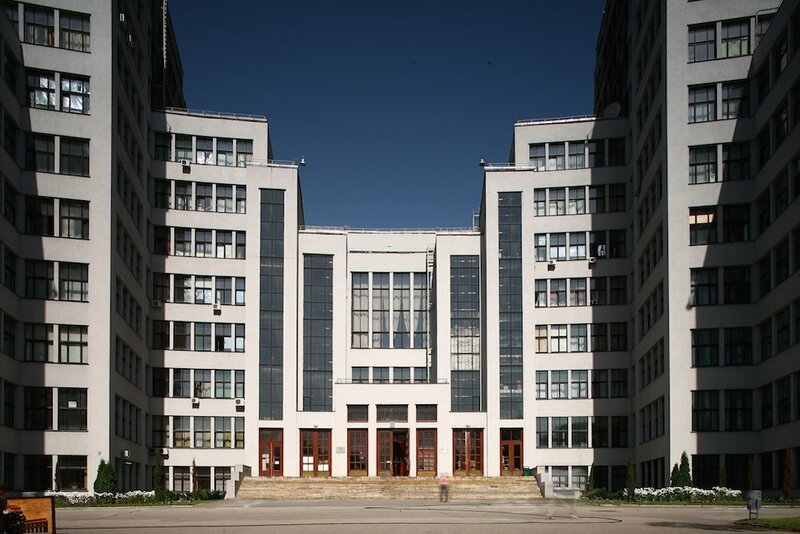 After the Second World War, a large-scale reconstruction and redecorating of Constructivist buildings began, characterised by classical detailing, luxuriant decoration and facing with ceramic tiles or stone. Thus, the heritage of the relative freedom which preceded Stalin’s dictatorship was visually obliterated — the transformation of Freedom Square itself became a vivid example of this process. At a glance, the House of Project Organisations or the Hotel International seem like classic examples of the so-called Stalinist Imperial style. Only a trained eye will discern the traces of Constructivism in their rhythms and proportions. 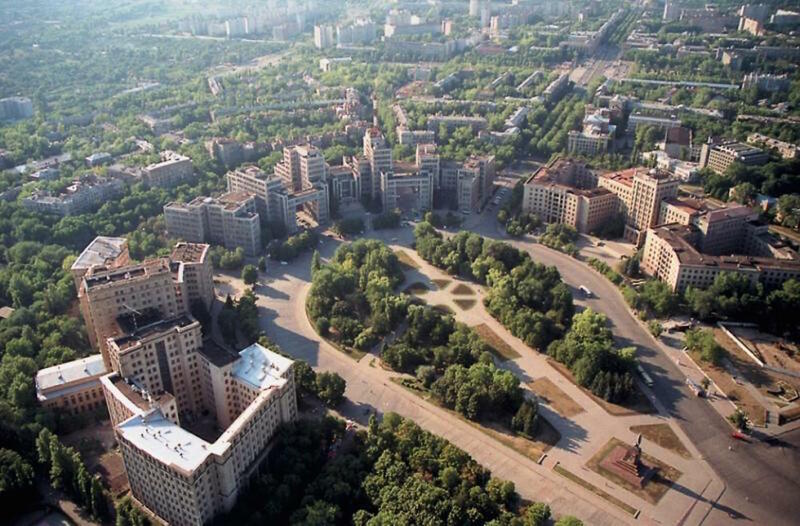 As a result, Freedom Square has frequently and inaccurately been described as an example of post-war Stalinist urbanism, even though this was a Constructivist project whose post-war reconstruction contradicted its modernist essence. From the point of view of the politics of memory, this looks like an attempt to portray post-war urban reconstruction in a way that glorifies the Stalinist cult of personality along with the “victory cult” of the Second World War. An equally significant factor is the Russian imperial mentality that considers Kharkiv part of the “Russian world”. Particularly prominent since the early 2000s, the idea has had considerable support in Kharkiv, primarily because of its proximity to the border with Russia and constant communication between local authorities and influential Russian representatives. Representatives of the “Russian world” have not been interested in the restoration or preservation of the modernist heritage. The heyday of Constructivism reflects the relative openness of the 1920s and Kharkiv’s long-established leftist history; this contradicts the myth of the city as a province of the tsarist empire, a city of classicism architecturally defined by its Russian Orthodox Churches. Even a cursory analysis reveals Kharkiv to be an industrial and largely secular city. Its several dozen classical works are greatly outnumbered by several hundred examples of Art Nouveau and inter-war modernism. 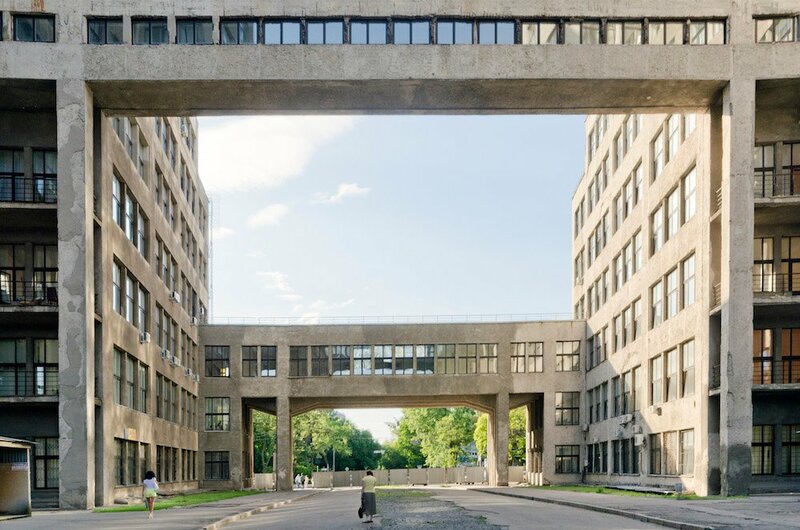 If Ukrainian Constructivist architecture has been neglected by both Stalinist and Russian conceptions of Kharkiv’s history, it is in equal danger from Ukrainian nationalism, as represented by the Ukrainian Institute of National Remembrance (UINR). A central executive body operating under the Cabinet of Ministers of Ukraine, UINR was established in 2006 and has the authority to approve new “policies of memory” at the legislative level. UINR does not destroy material heritage itself, but effectively stigmatises the entire heritage of the USSR without discrimination. As a result of decommunisation laws, thousands of mosaics, bas-reliefs, sculptures and monumental paintings have been destroyed since 2015. 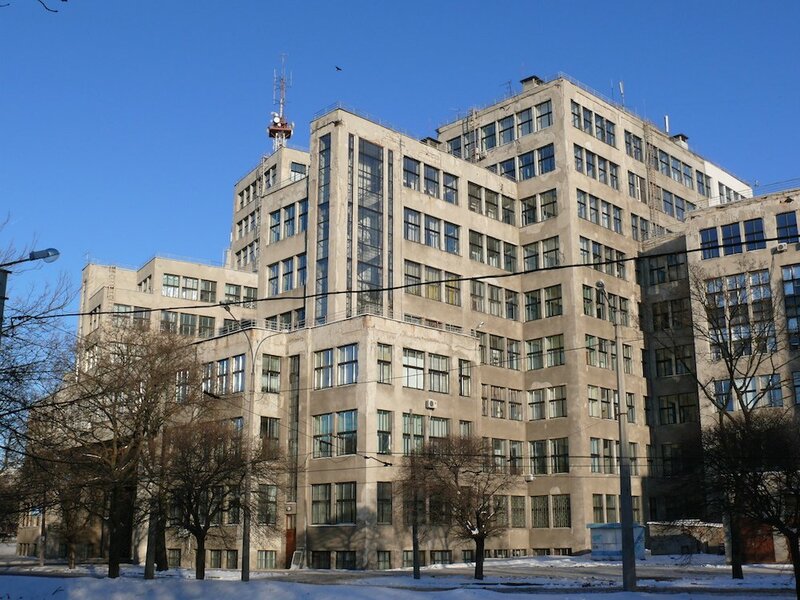 Although architecture is not mentioned in this legislation, all UINR policy aims to create negative social attitudes towards Soviet heritage. Against the backdrop of these chaotic processes, architects and sculptors no longer believe that they bear responsibility towards society at large. The sphere of architectural higher education in Ukraine has also been deeply affected by corruption and an endemic sense of crisis. Creativity and professional ethics have gradually deteriorated. As a result, a phenomenal number of tasteless objects have been built throughout Ukraine, and in particular in Kharkiv. Kitsch reflects social and political processes. It has become a kind of answer to the pervading sense of chaos and identity crisis in Ukraine, penetrating into all corners of the urban environment. A kind of negative, primitive version of postmodernism, kitsch has become the dominant aesthetic of Ukraine. When controversy first erupted over the column on Freedom Square, Kharkiv’s scandal-prone mayor Hennadiy Kernes made it clear that he wasn’t going to listen to the opinions either of his voters, or of international experts. But civil society groups filed a lawsuit against Kharkiv City Council over the competition results, and in April 2017, it was announced that the Council, perhaps for the first time ever, had lost the court case. 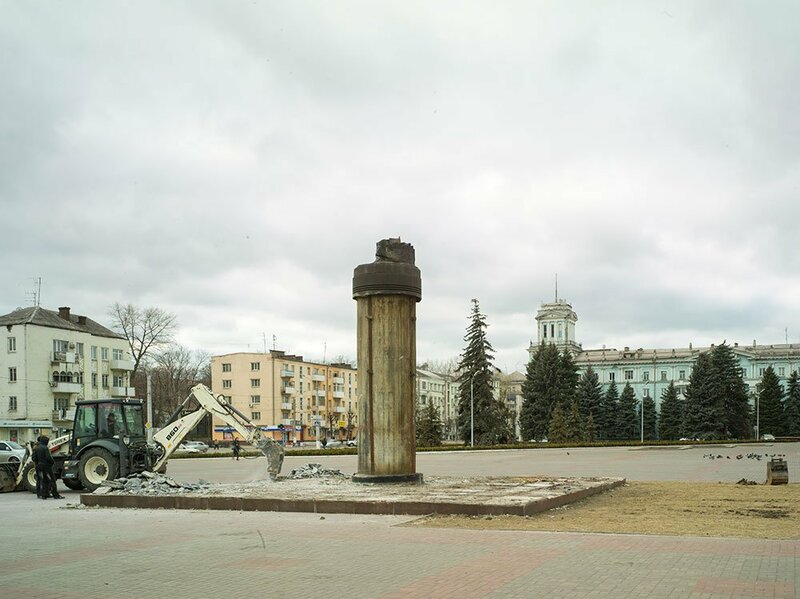 The verdict declared the decision to build the column illegal. In May 2017, Derzhprom was once again added to the Tentative list of UNESCO World Heritage Sites. However, the future of the building still remains uncertain, since there is little opportunity to restore it in accordance with UNESCO requirements. Nevertheless, this represents a real triumph, the first precedent for modernist heritage protection in Ukraine. The attack on this heritage is one example of a much broader phenomenon: take proposals to demolish or alter, for instance, such modernist gems as London’s Robin Hood Gardens, Stuttgart Central Station or Prentice Women’s Hospital in Chicago. All have provoked preservation campaigns. The confrontation between society, intellectuals and other stakeholders that is taking place today around Freedom Square offers some hope that we can try to understand what is happening to us: the aggressive erasure of a whole layer of culture. Understanding what is at stake will be the first step towards finding a way out of the situation.